This is the first track from the album, and what a start! Deen over Dunya presents an important message in an upbeat, energetic way. Buy the song on Amazon. When listening to this song, I couldn’t help notice the similarities between it’s message and Safe Adam’s story. Safe was once part of the mainstream music industry, writing songs for stars such as Ed Sheeran and N-Dubz. Safe was even invited to parties held in the homes of high-profile celebrities, such as Jaime Fox. Stardom of this nature can present a challenge for Muslims living in the west. Safe Adam found it extremely difficult being in an environment where parties and Alcohol were the norm, and decided to focus on Islamic music instead – you could say he turned to the deen, and moved away from Dunya. But what does deen and dunya mean? Deen is the Arabic word for religion while Dunya refers to the world. Huge emphasis has been placed on choosing the deen over the dunya in the Quran. The term ‘dunya’ refers to worldly things such as money, fame and even family. While these things are not forbidden, we should try to ensure we do not get too caught up in chasing them over remembrance of Allah. Let’s analyse the lyrics for Deen Over Dunya. As usual I will be calling out any links to Quran and Hadith. Upbeat and well-produced nasheeds are not too common. 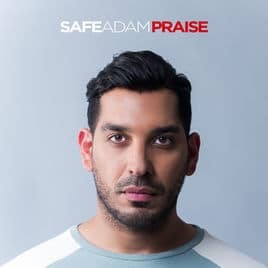 Safe Adam has hit the nail on the head with this song. It’s got the same positive vibe as track number 2 on the album: ‘By my side’. The track puts us in the correct mindset. We learn to appreciate Allah, and put him before worldly things… Deen over dunya.